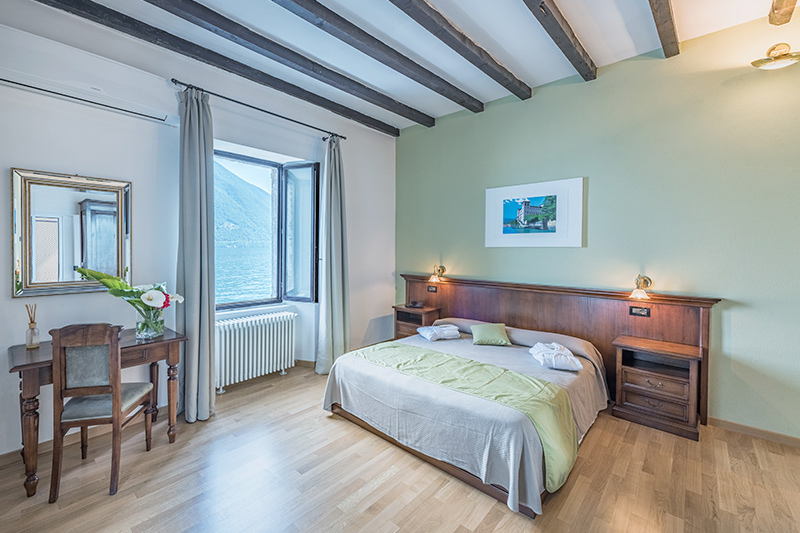 20 lovely bedrooms just like little oases where you can breathe all Como Lake character. 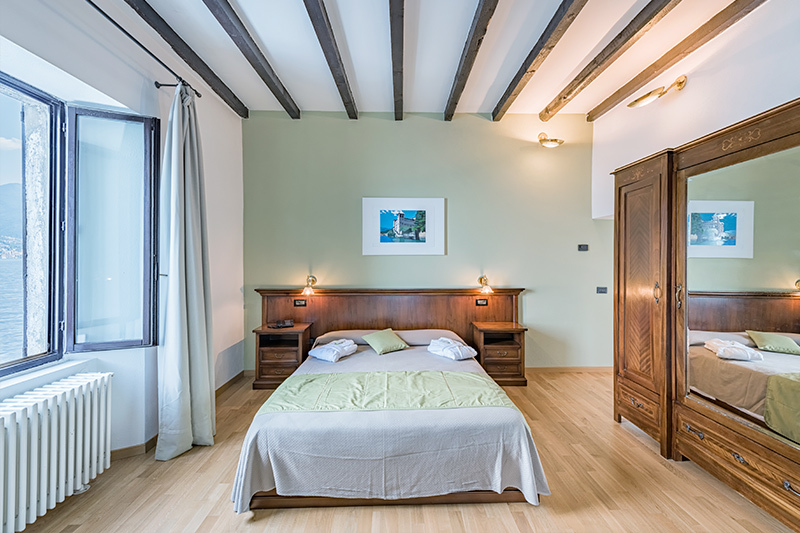 They are painted with natural and bright colors to bring you serenity and surround you with their charme inspired by XVIII century. 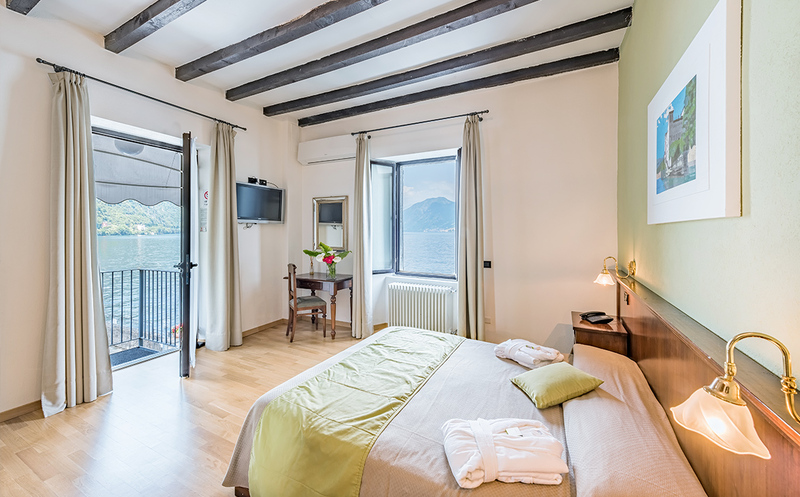 The rooms overlooking the lake give you the opportunity to enjoy a wonderful landscape that changes all the time. 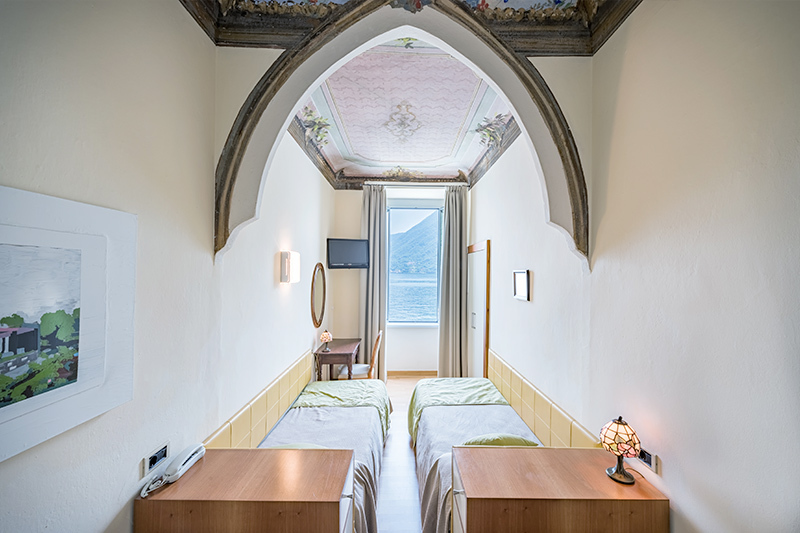 The scenery lights, turns and falls asleep with the sound of the waves. 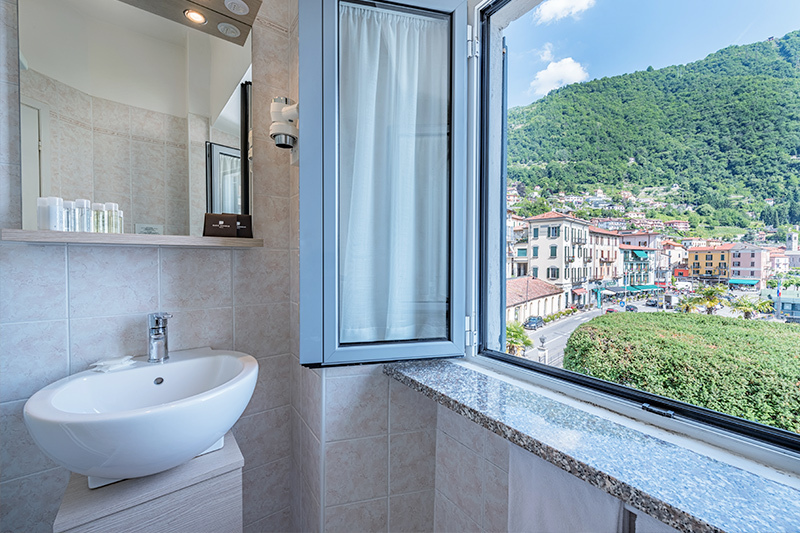 Guests who prefer to enjoy a mountain view can appreciate our rooms on the other side of the hotel just overlooking the flourishing Valle d’Intelvi and the nice little village of Argegno. 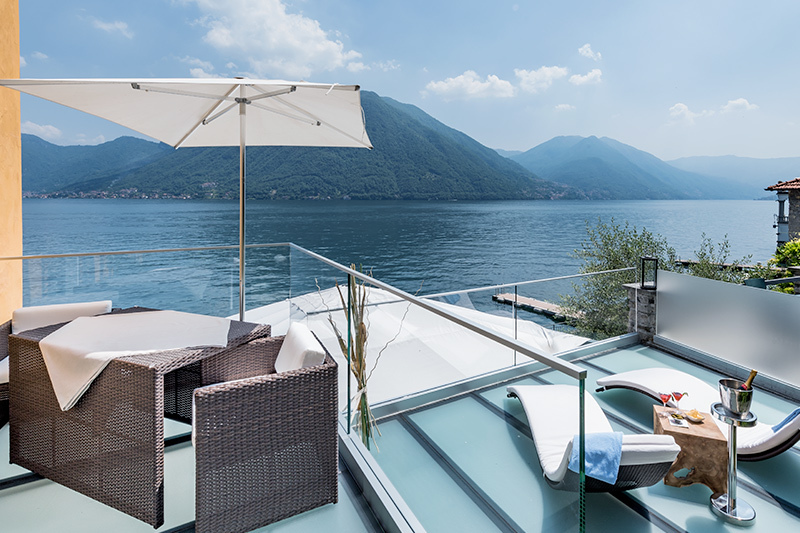 Your Lounge On Como Lake! 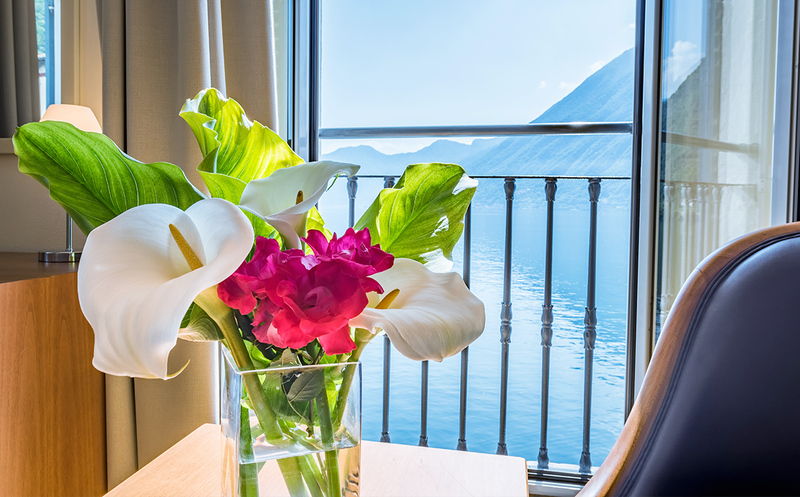 For you, a very special room, on the southern corner of Villa Belvedere, with an amazing view of the lake that leaves you breathless. 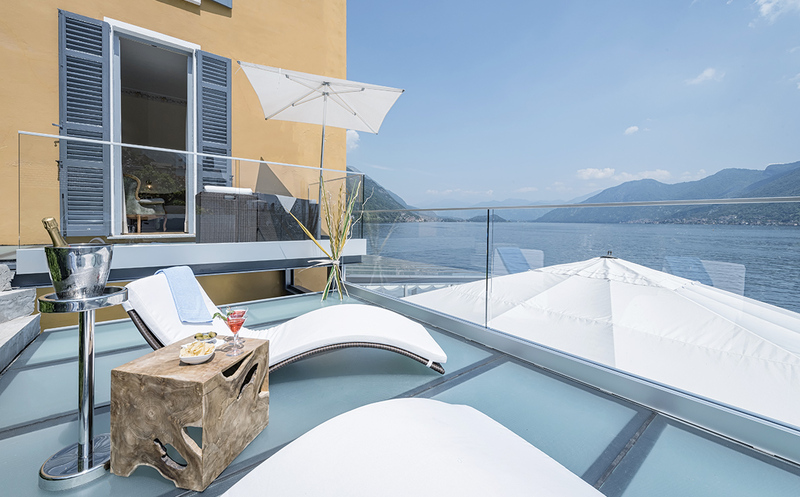 On the terrace you immediately feel the atmosphere for a romantic aperitif or sunbathing on the fantastic sunbeds of your private solarium! 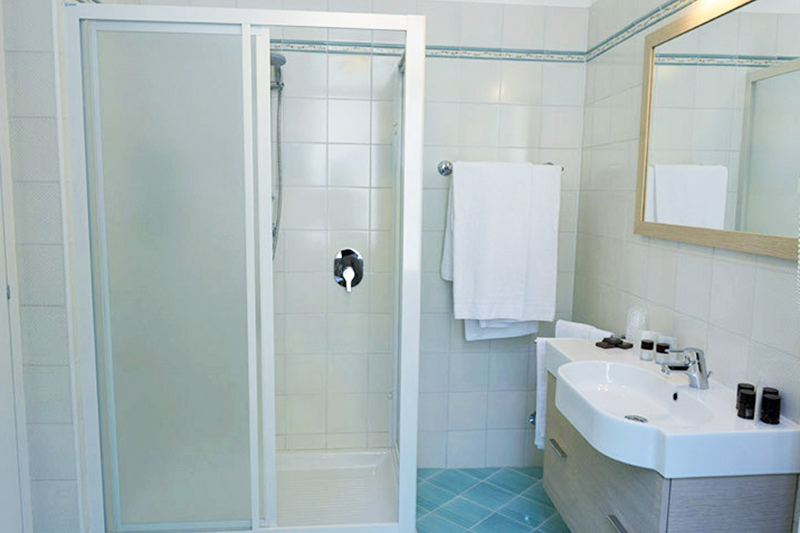 In the Summer Season you can also use a private hydromassage tub! 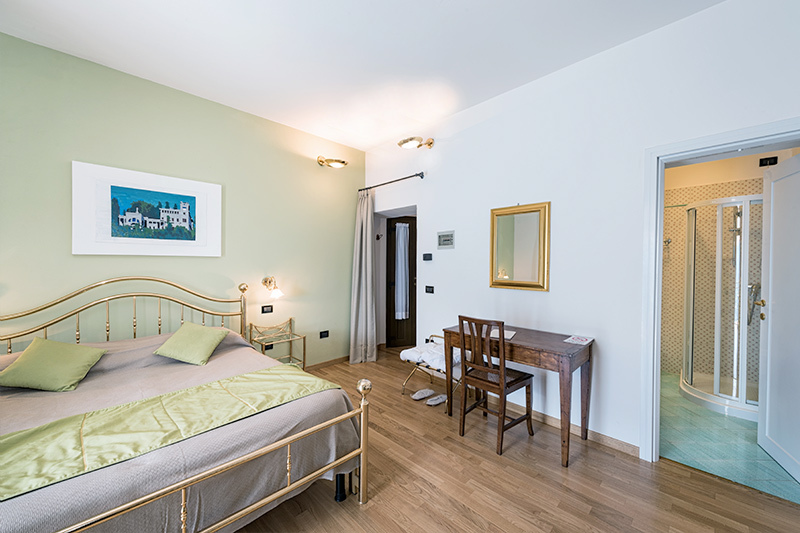 Large Room with terrace and a private solarium of 25 mq. 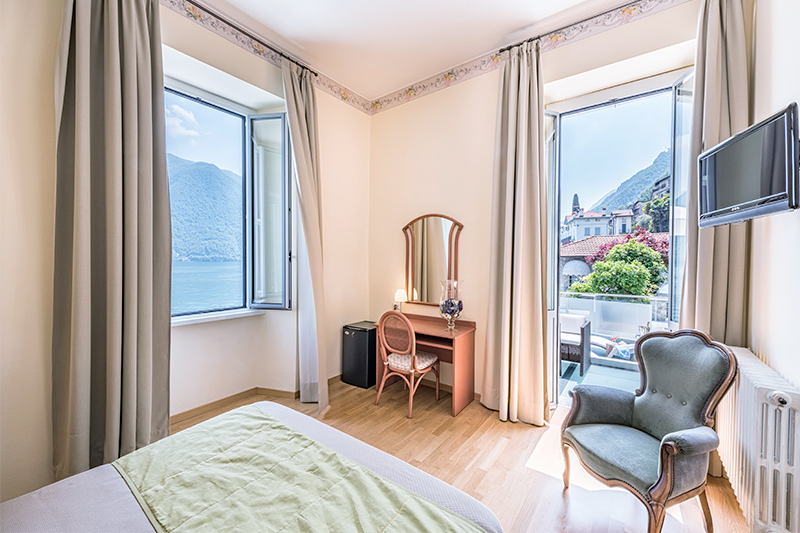 In the Lucia Room you will be immersed in all the romanticism of Lake Como, from its balcony you will better understand the feelings of Lucia and Renzo, from the Betrothed, the Italian historical Alessandro Manzoni novel, amazed by the Lario Landscape! 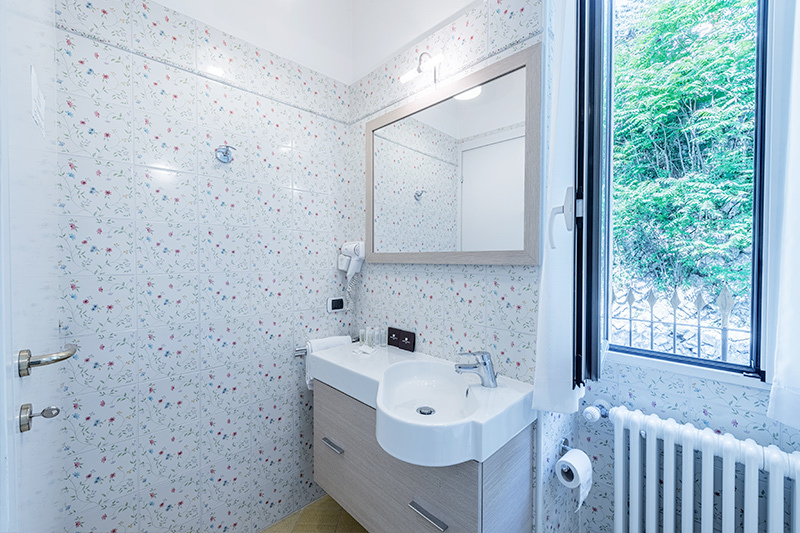 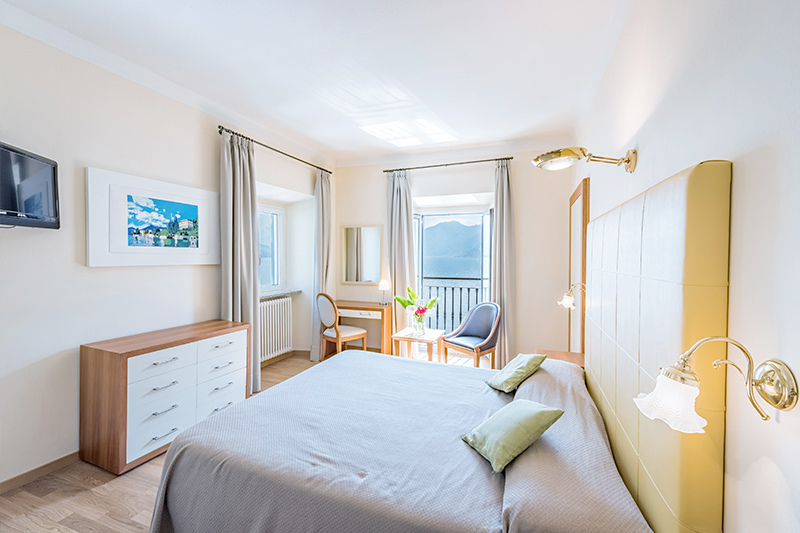 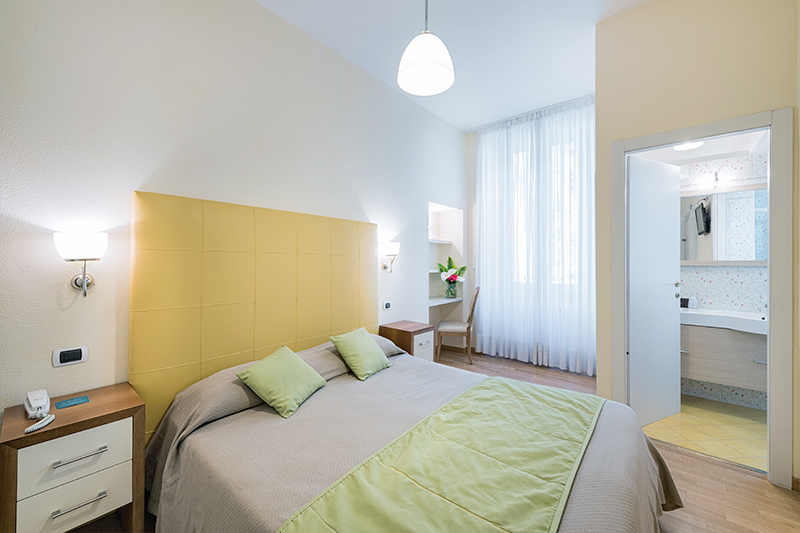 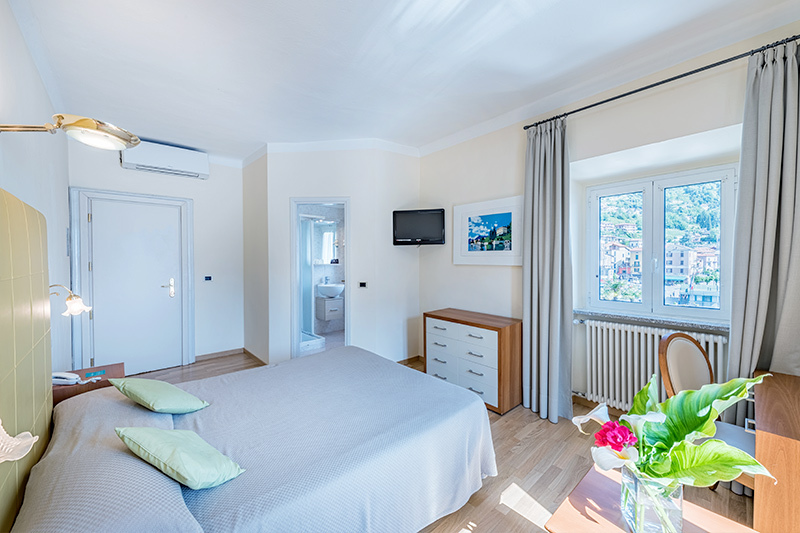 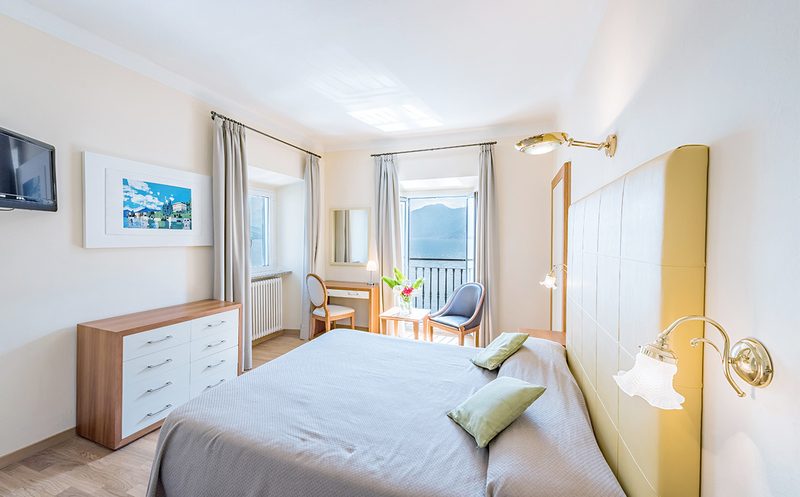 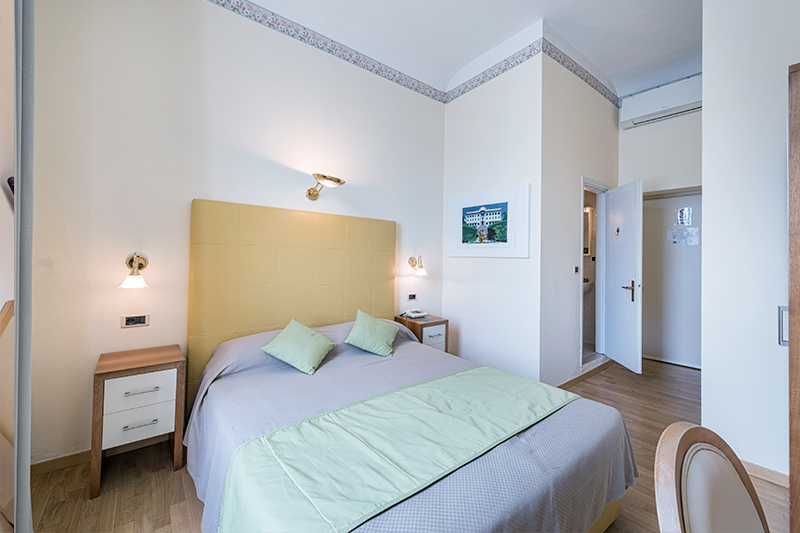 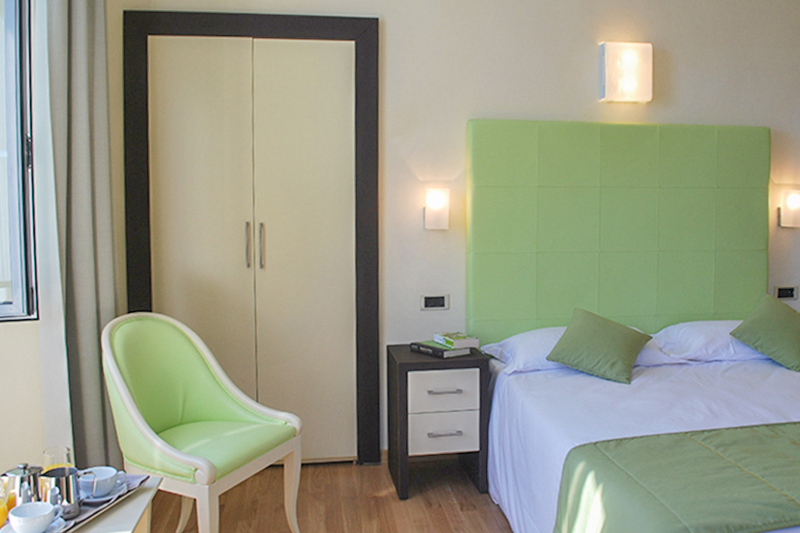 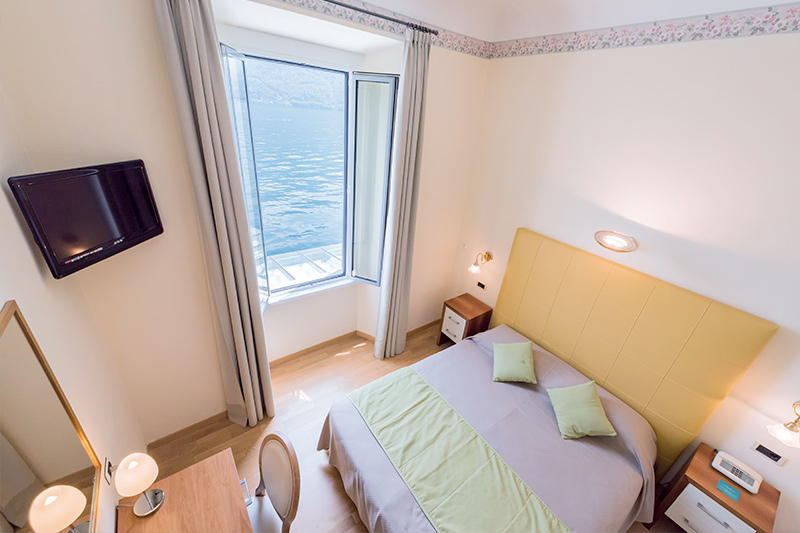 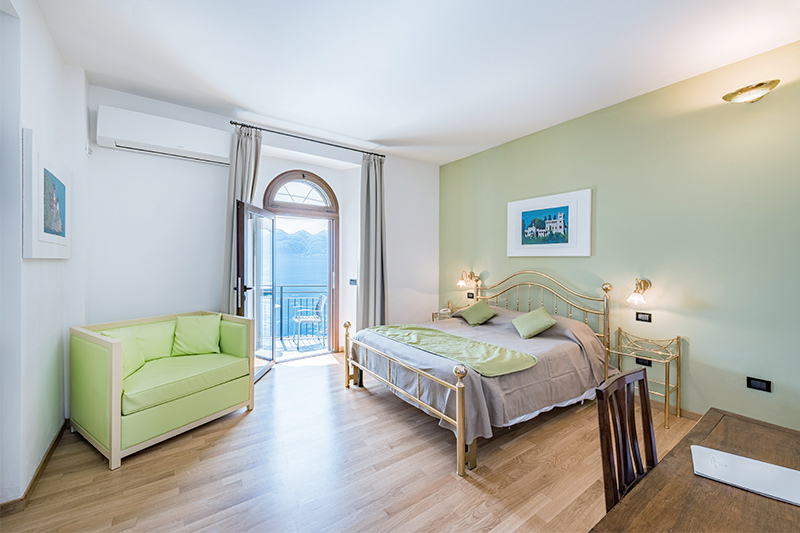 This basic Room offers all the essential to enjoy a stay with a lovely view on Lake Como! 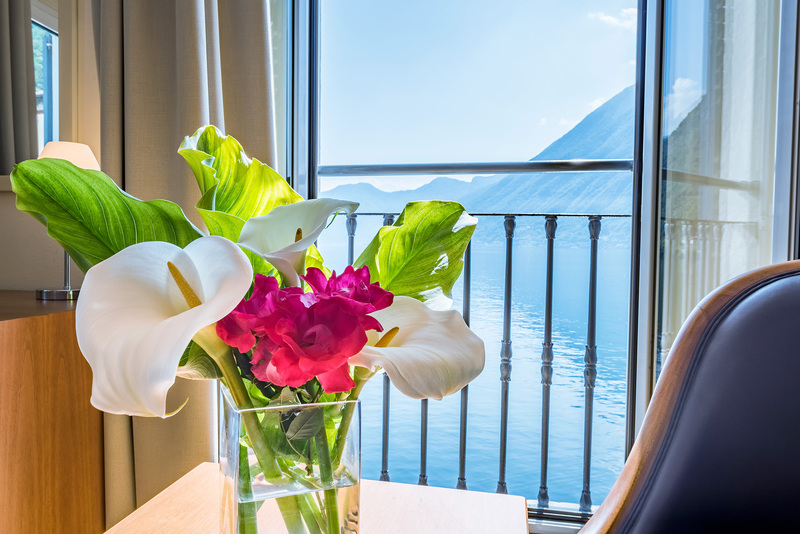 The Lake Como “between mountains, valleys, blue water …” only for you! 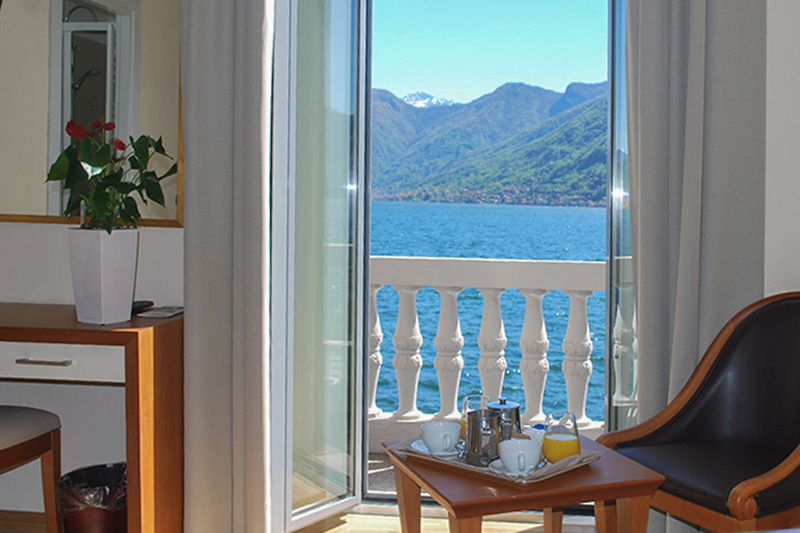 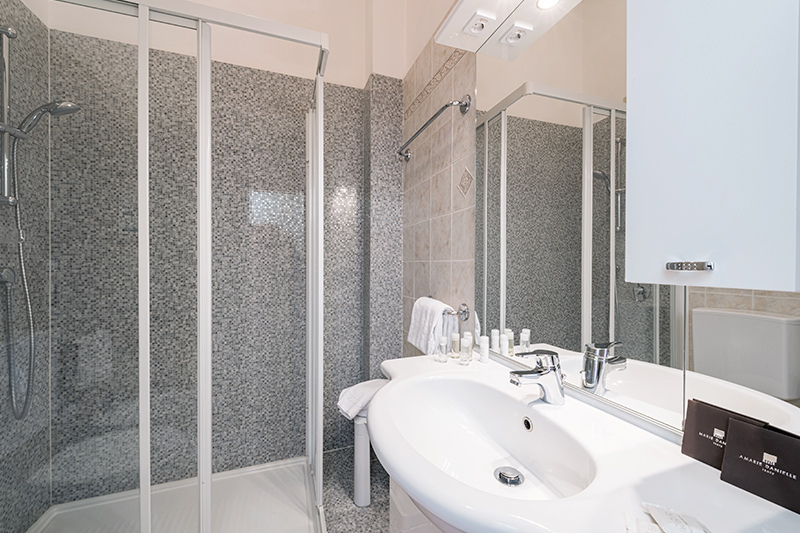 Our most convenient solution for your stay on Lake Como, without sacrificing comfort. 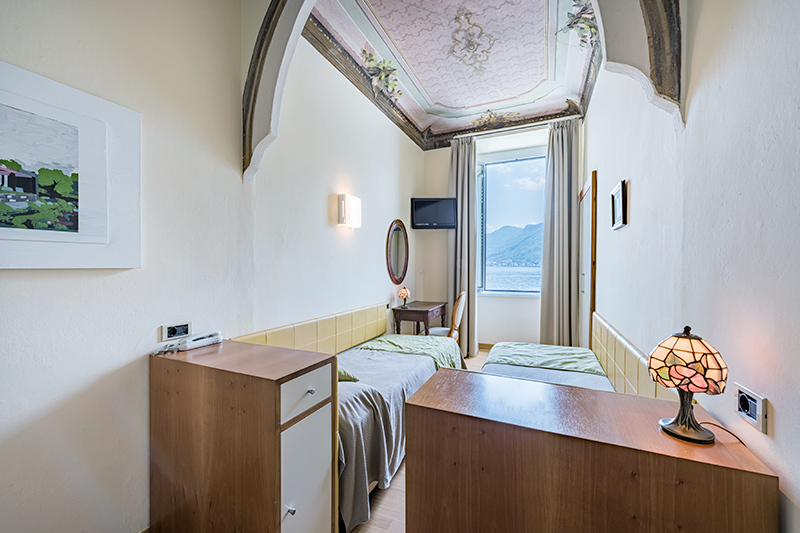 For those who want to stay on Lake Como immersed in the spirit of an Art Nouveau villa that is reflected in the most romantic Italian lake! 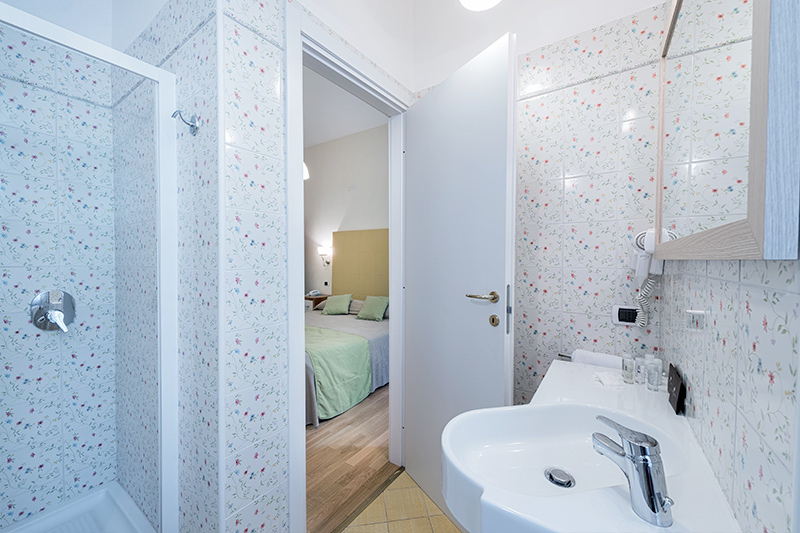 Mini apartment ideal for those traveling with family or friends! 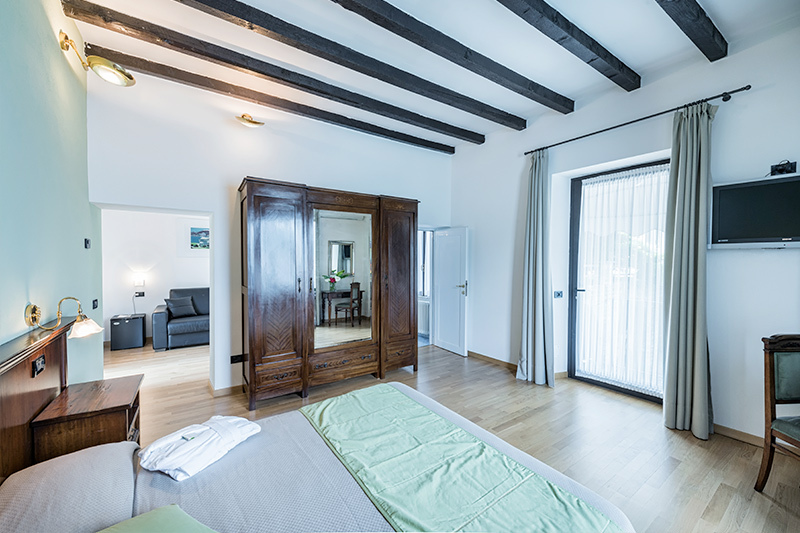 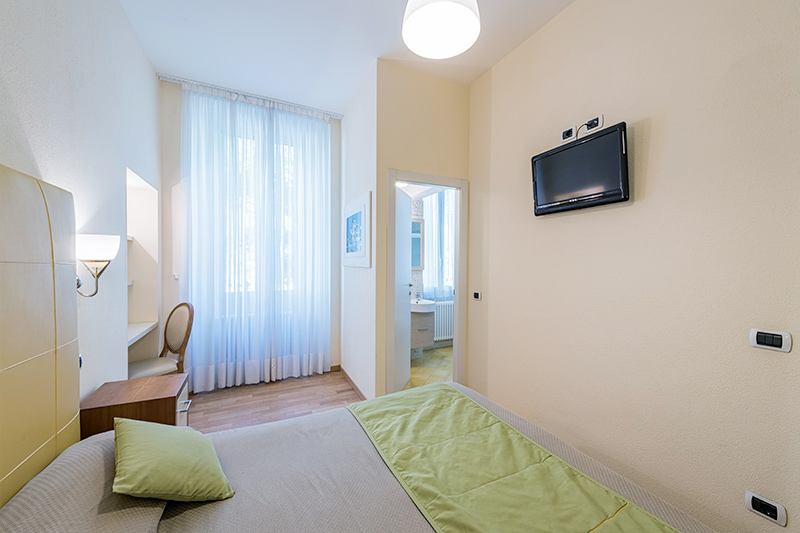 The Family Room consists of a bathroom and 2 connecting rooms, the first with a double bed and the other with two single beds. 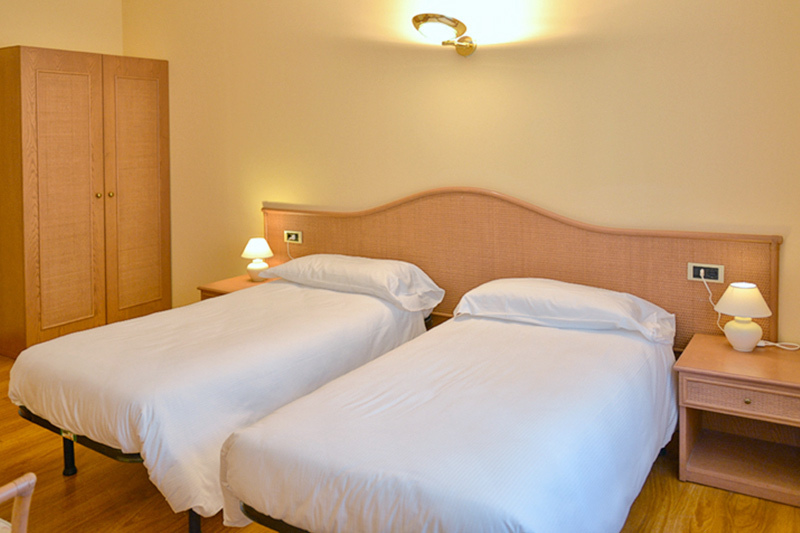 It is the ideal room for a family or group of 4 friends. 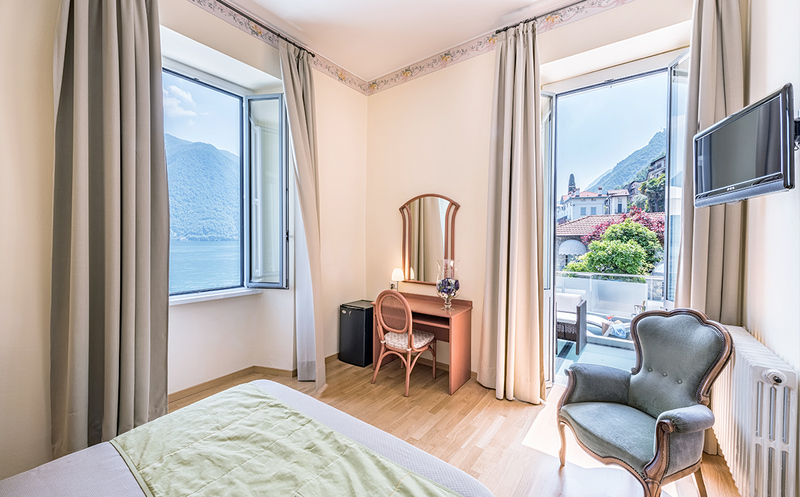 The unique Lario soul in this room with its terrace just on the lake ! 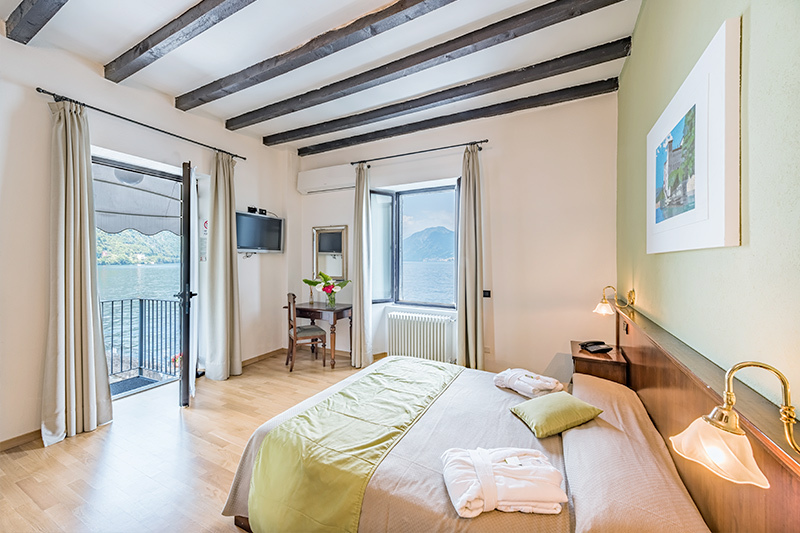 Room with direct access to our lake dock! 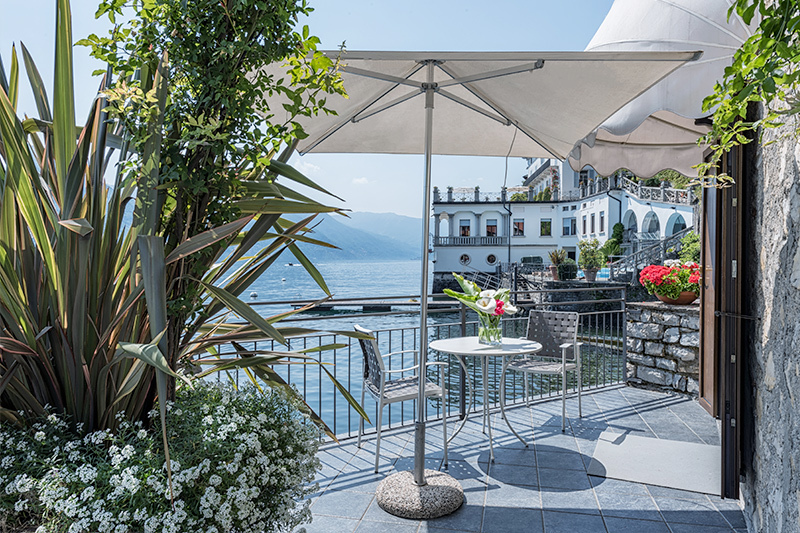 Room with an exclusive Charme on the lake shore with a large private terrace! An accommodation to enjoy all the spirit of Lake Como: Romantic and Glamor! 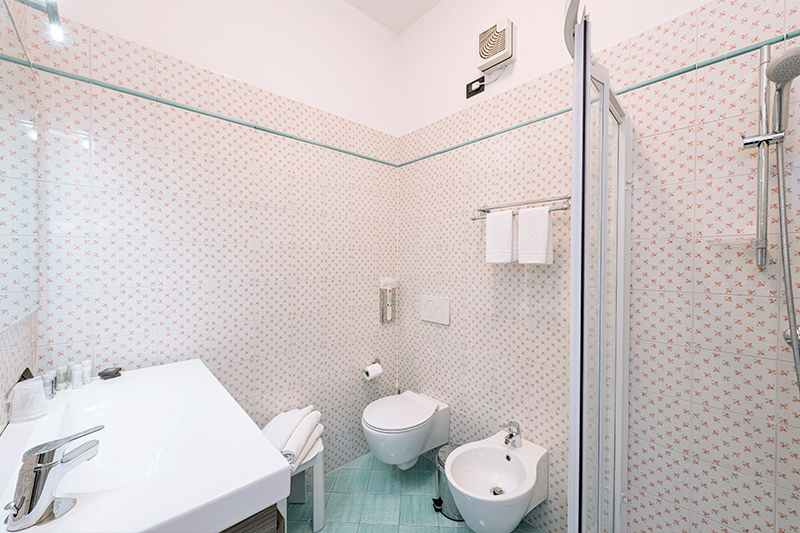 Telephone with direct line, TV LCD flat screen, air conditioning, safe box , towels and toilette kit. 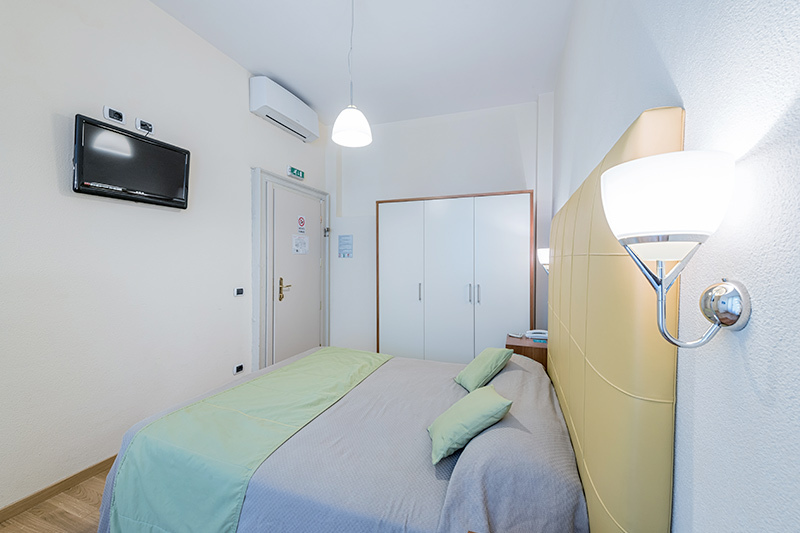 Car parking, buffet breakfast, WIFI connection, baby cot and high chairs (on request). 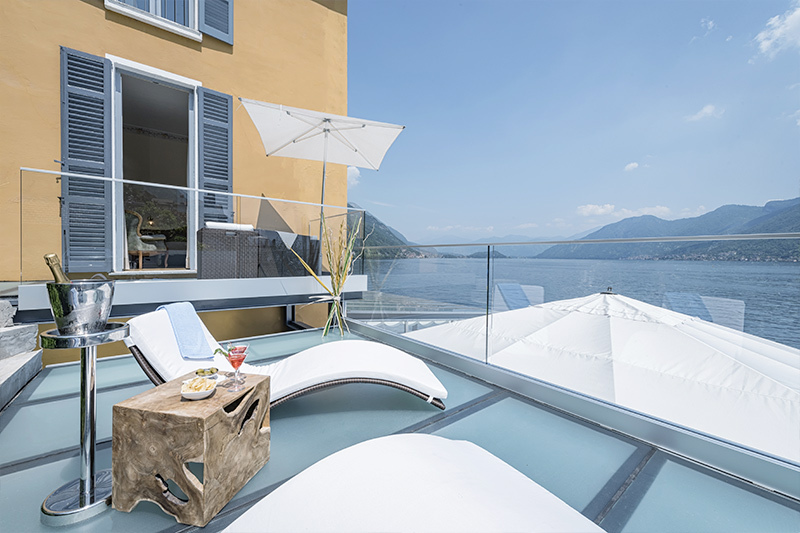 Non-contractual photos for illustrative purposes only, commercial conditions subject to change without notice, for each update contact directly Villa Belvedere Como lake Relais. 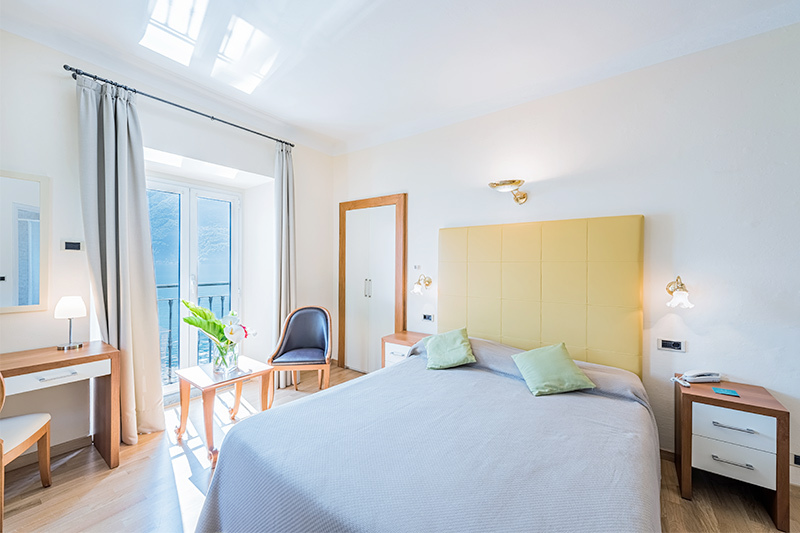 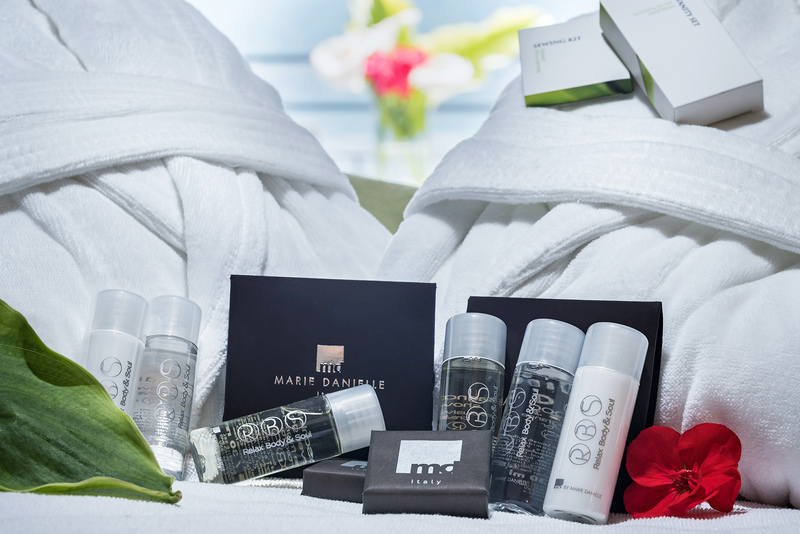 FLEXIBLE-Best Available Rate – Payment directly at the hotel at the end of stay – Free cancellation before 48 hours from 14:00 on the date scheduled for Check-in – after this date or in case of non-show or in case of early departure : Penalty: 100% of the stay. 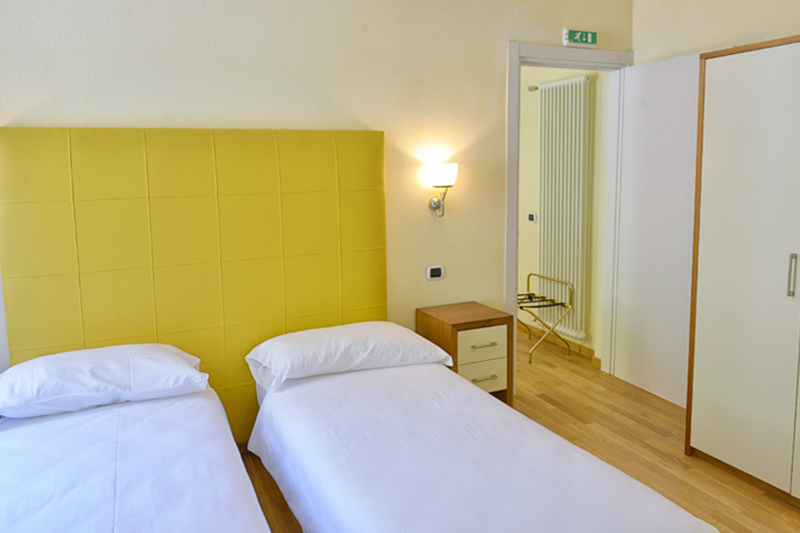 A prepayment may be requested on the credit card given as a guarantee.